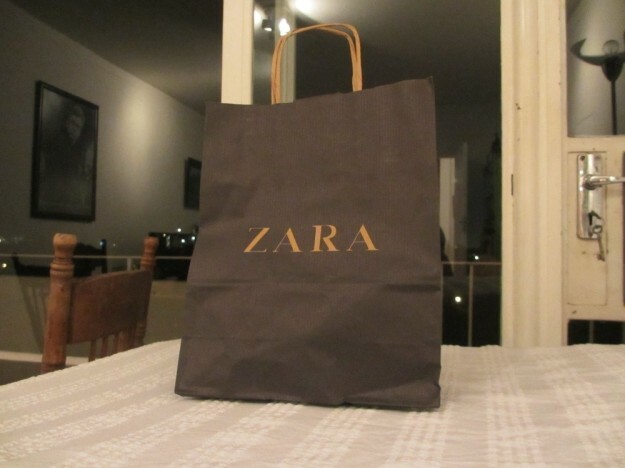 Oh my goodness totally addicted to Zara. They’ve recently opened at the V&A Waterfront and I spent ages browsing through their store. I was pleasantly surprised by their awesome selection of clothing which isn’t all that expensive. What I really dig are their “basics” items – the quality is rad and I got some great tops for only R99 each. I mean that doesn’t happen often. It’s so hard finding clothing that is well made and doesn’t cost you an arm and both legs. Look there is stuff in there that will set you back a few pennies, but you might just find yourself as pleasantly surprised as I was. And maybe start saving for one of the gorgeous jackets! The other fantastic find from them is that they make skinny jeans that are actually skinny. I find that so many shops here make skinny jeans for people with canckles! I struggle to find skinny jeans that actually hug your ankle rather than being the same size from mid calf. I am excited by this store. Go check it out and let me know what you think. This entry was posted in Luv and tagged clothes, luv, shopping. Lady Gaga – What A Show! I’ve been meaning to go and have a look, have heard good things. Will definitely go now.